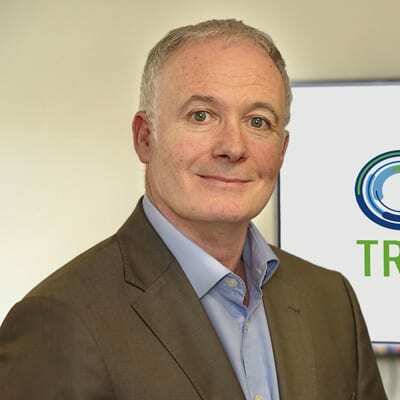 Barry Moylan is an Enterprise Ireland mentor, and co-founder and Director at Sales Transitions Ltd.
Barry has 25 years of sales, leadership and executive coaching experience. He is an expert in delivering strategic and operational sales growth – working with startups and established/multinational technology companies in both domestic and overseas markets. Barry spearheaded Nathean Technologies’ UK market entry and partner channel development, securing one of the largest global ERP vendors. He oversaw the growth of Cable & Wireless Ireland, which at the time had sales revenues of over €50 Million per annum. He was also head of global sales and marketing, and a member of the senior leadership team, at Aspen Grove Solutions. Barry is a graduate of DIT’s highly acclaimed International Selling Programme, the Enterprise Ireland gold standard programme designed to help Irish companies strengthen their positions in international markets. He also holds an advanced diploma in executive and personal coaching from Kingstown College. Sales Transitions is a team of highly experienced sales performance specialists, focused on supporting B2B companies in achieving business growth. They work closely with their customers to enable profitable, high-performance sales. Their 4Performance Framework™ appraisal process identifies issues within four key areas underpinning sales functions: planning, process, people and policy. This allows them to reveal actionable insights into current sales performance and recommend solutions that address and resolve barriers to optimum performance. The input I offer promotes a relentless focus by the company’s management team and stakeholders on the achievement of critical and manageable sales growth steps. In my experience, those companies that accept they do not ‘know it all’ and truly embrace the mentoring input are the ones who benefit the most.